Family owned and operated since 1999! We are conveniently located between Springfield and Branson in Ozark, Missouri and stay open all year. Our park is full service with 34 level pull-thru sites. Each site is 75ft long with full hook-up's including 30/50 amp electrical service (no shared hook-ups), sanitary connections, and city water. We are 20 minutes from Branson and 20 minutes from Bass Pro Shop in Springfield. 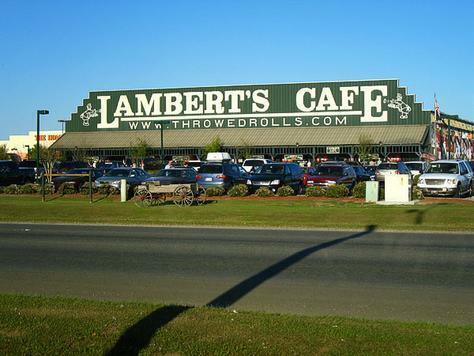 Located next to The World Famous LAMBERT'S CAFE. If you require immediate attention, you can send us an email, give us a call at 417-844-6058 or use our quick online form. Stage Stop RV Park is close to many family attractions that you and your family will enjoy. Visit Silver Dollar City, Branson Tracks, Whitewater, Celebration City, and much more. Besides being located in the "Antique Capital of the World," we are within walking distance to many restaurants, two delis, two convenience stores, grocery store (Price Cutter Plus), liquor store, video store, three antique malls, several flea markets, many gift and collectible shops.